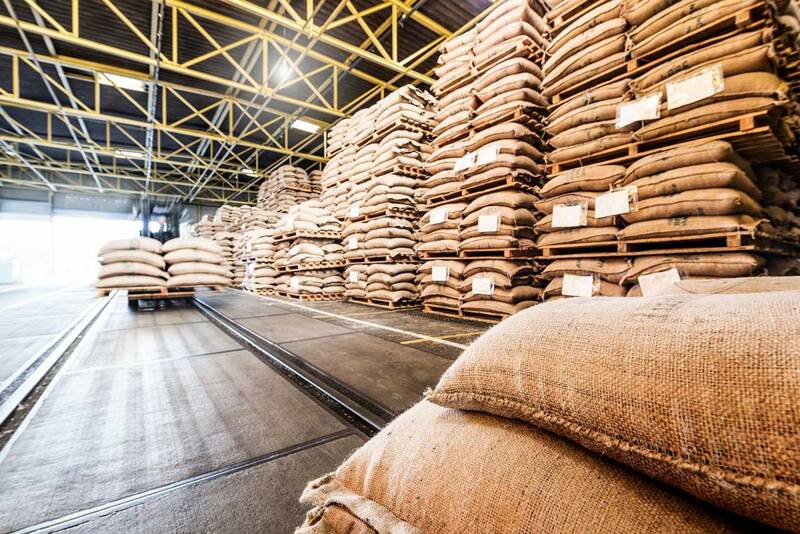 Behind the curtain of the coffee supply chain is a herculean challenge that requires efficient logistics backed up by an accurate flow of information. From the time it leaves the farm gate to the moment it is brewed, the bean has more than likely spent months in transit crossing borders, clearing custom checks and even continents. Out of the estimated 159m bags (60kg) of Arabica and Robusta coffee that was produced last year, a large volume will have been transported large distances by land, sea – and occasionally by air – from the country of production to its final destination in your cup. 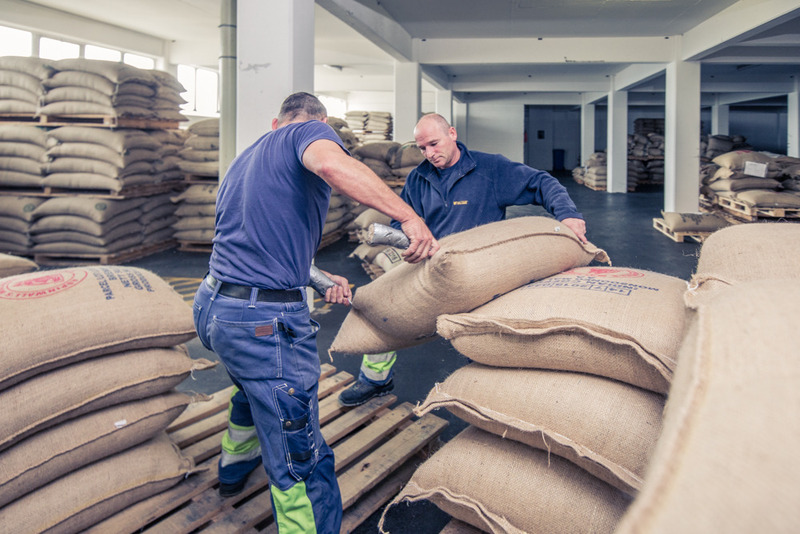 Vollers, a family-owned business that has been transporting and storing raw materials for more than 80 years, is one such logistical link in the global supply chain that helps to keep our coffee moving. 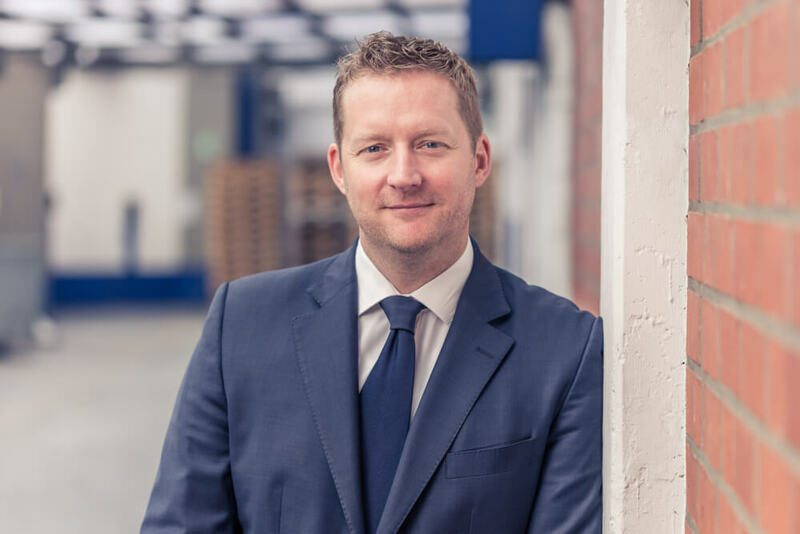 Managing director, Christian Vollers, who took over the business from his father four-years-ago says that coffee currently accounts for approximately half of their volume. The Bremen-based company also handles commodities such as cocoa and tea across its network of hubs in Germany, Holland, Italy, and Russia. It’s most recent acquisition includes an immense converted aircraft-hangar storage facility in Bury-St-Edmonds, UK. “We are very customer-specific so when we take up an instruction from the importer or exporter we track the ship and ensure that someone is there to pick up the container at the port of landing. We take responsibility for the unloading, handling charges, documentation, labelling, samples, storage and also make sure that the coffee is forwarded to the correct place. Technology helps but you need people on the ground”. From its main offices in Bremen and Hamburg, the Vollers Group employs 320 people in eleven locations across the continent, including a further nine subsidiaries in key transport hubs such as Moscow, Riga and Tallinn in the Baltics. Many are engaged in supporting the important task of collecting the container when it is unloaded from the vessel in port to transport the green coffee to the warehouse. Even in the 21st century of instant communication, the master of all shipping documents – the Bill of Lading – is an original document with a handwritten signature that is required to release the container. No Bill of Lading? No green coffee. Christian explains that while shipping companies have been experimenting with technologies of their own such as blockchain, the industry still has some distance to travel before an international platform is adopted. “The problem is not necessarily the blockchain,” he explains, “it is the logistical challenge of merging the physical product with the digital trail. We can send a man to the moon and back but a supply chain can still grind to a halt when the writing on a label is unreadable. This can cause problems down the line – especially the last mile”. Although specialty-grade coffee accounts for only five percent of Vollers’ business, he says that volumes are steadily growing as commercial traders now have a specialty sub-division because of increased demand. The 45-year-old goes on to highlight the important distinction between commercial and specialty coffee; and the increased logistical challenges inherent in the latter. “Most commercial-grade coffee comes in bulk – that’s 21 tonnes per container. Whereas, with specialty coffee you may have a per bag business with 20 different lots inside one container. This is of course great for specialty coffee but it is a huge challenge for logistics. We normally take only a sample from one bag of each lot because the product is very uniform and we don’t want puncture the grain-pro lining in every bag – this wouldn’t be correct. It’s a sampling method that works well with commercial coffee but doesn’t translate so well to specialty”, he says. He adds that the industry urgently needs improved international standards in a community where freshness and quality is a signature of specialty. From a logistics point of view, Christian advocates for a better understanding around commonly agreed regulations in specialty coffee that will help to reduce transactional costs and protect workers. “What do we consider as specialty?” he asks, “the terminology should be applied much wider than just a focus on quality. We need to develop better safety standards for example. One of the big challenges is bag size; I believe weight limits will become an issue in the future because carrying a 69kg bag is not a positive thing for the producer, logistics handler or the roaster. As the industry develops, organisations like the SCA can help to sponsor these discussions so that we can work towards a standard contract for specialty with agreed logistical conditions”. Reaching an industry-wide consensus around standardised bag weights, sizes and the process of Q-grading landed against pre-shipment samples currently remains a matter for discussion. However, supply chain actors like Vollers are starting to push for informed debate around internationally agreed standards from a logistics perspective. “We can learn a lot from the commercial coffee sector,” Christian concludes, “so that we can reduce transactional costs further and generate more value for specialty supply chains”. And just as the last mile is commonly the most problematic in a supply chain of thousands, the burden of responsibility might also lie with the wider specialty coffee community to go that extra mile.